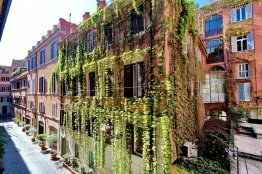 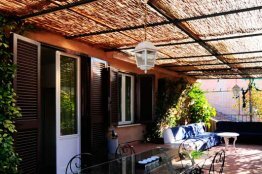 The location of this Spanish Steps quiet apartment is one of the best in Rome: exclusive, quiet and extremely central. 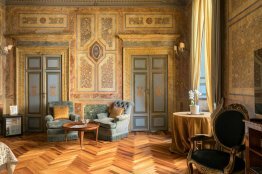 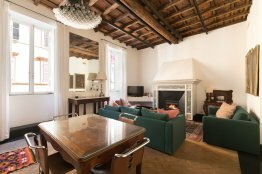 Situated on the 1st floor of a seventeenth century building that doesn’t have a lift, the apartment overlooks Via Margutta and its fancy art galleries. 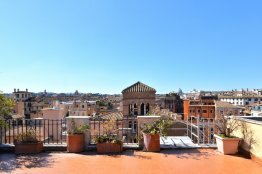 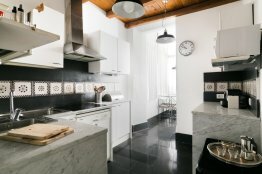 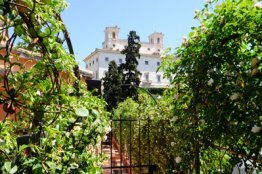 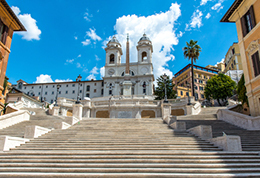 This centrally located Spanish Steps apartment is situated just steps away from the Spanish Steps themselves. 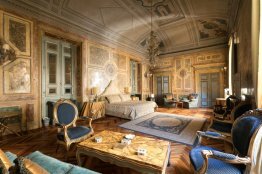 You can access the apartment on the 2nd floor of an elegant building with a lift. 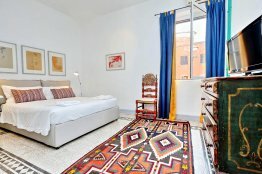 This air-conditioned unit is elegantly renovated with bright parquet floors and high wooden ceilings. 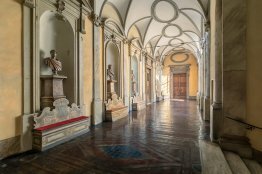 These date all the way back to the eighteenth century! 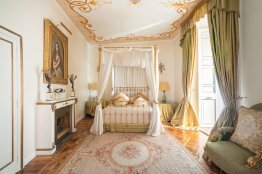 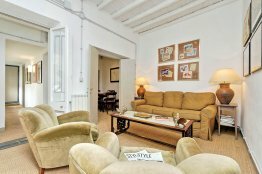 You will find this luxurious and elegant apartment on Via Vittoria. 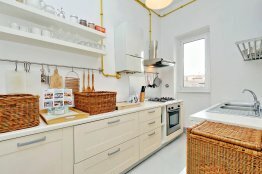 You can access this stylish and luminous flat on the third and fourth floors of an eighteenth century building, without an elevator. 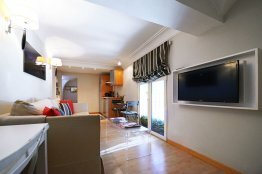 The apartment is ideal for a large family or group. 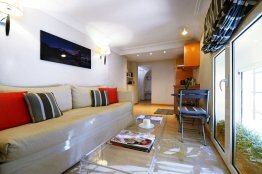 This spacious 2 bedroom apartment is decorated in an elegant neutral tone style. 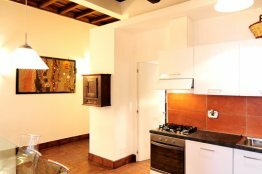 This wonderfully rustic quaint little building features an elevator, although you must walk up a few steps to the elevator. 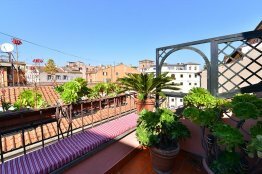 This spacious and elegant apartment with a terrace is situated on Via del Gambero, a fashionista’s dream. 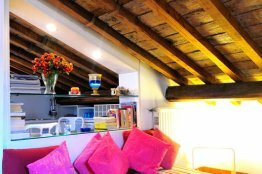 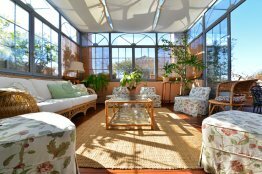 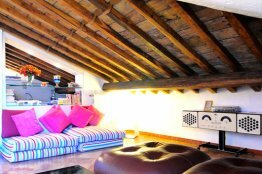 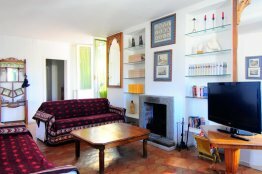 This centrally located attic apartment is on Via del Gambero. 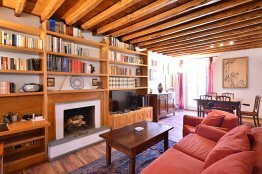 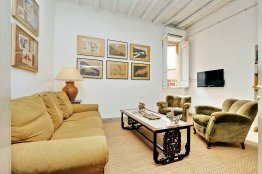 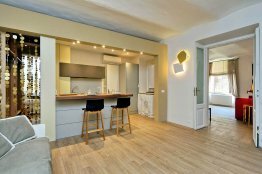 This apartment lies on the Via del Gambero, a quiet and elegant street in the heart of the city center. 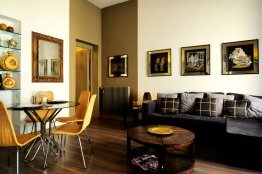 The apartment is on the 3rd floor (there is an elevator after going up a few steps).